Much like the prenuptial agreement, the purpose of a Florida postnuptial agreement, or “postnup,” is to create predictability and provide protection for each spouse’s individual and joint assets in case the marriage ends in divorce or due to a death. A postnuptial agreement is made during the marriage. The Kramer Law Firm can help you by drafting, reviewing and modifying postnuptial contracts, as well as guiding you through the decisions that need to be made. It is often mistaken that by signing a postnup, the couple anticipates that the marriage will end in divorce. It is true that a postnuptial contract can be viewed as a financial game plan, created in tranquil times, for an eventual divorce settlement. Yet the opposite is also true. Many marriages – which simply need financial clarification and focus - have been improved because of them. In Florida, a postnuptial agreement may be used to reaffirm or update a prenuptial agreement, or to put protections into place when no prenuptial was made. A postnuptial agreement is a way to sort out money problems when a couple’s fortune changes. Postnups can also serve as a means to deal with conflicts that arise in blended families, where a stepfamily consists of children from previous relationships. 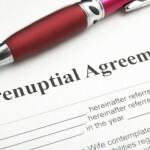 What Makes a Florida Postnuptial Agreement Valid? The agreement must be fair. Each spouse's contribution to the marriage is equally and equitably considered. No coercion (pressure or threats) took place during the preparation and drafting of the postnuptial agreement. Florida postnuptial agreements are extremely important, and by all means should be drafted by a knowledgeable family law attorney. In order to protect you against losing assets, the language must be carefully worded and specific. Be written in conjunction with a will or trust. Be used to avoid expensive litigation in the event of a contested divorce. Your interests are our highest priority. Our lawyers have the knowledge and skills necessary to draft postnuptial agreements that will accomplish your financial goals and stand up in a court of law. We are also capable of litigating their enforceability. To discuss your options, contact a Florida postnuptial agreement attorney at the Kramer Law Firm. You can count on us to answer your questions promptly and support you with the competent legal advice you need.